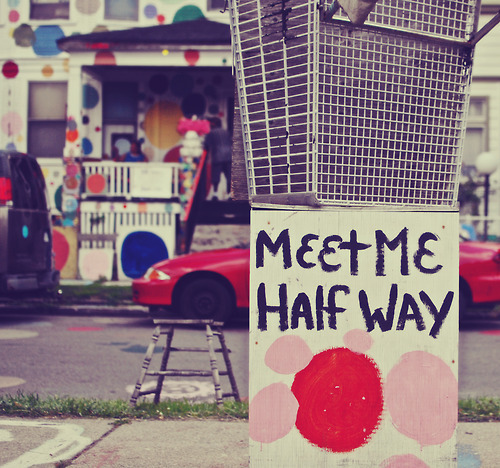 If there can be potholes in the streets, I think there can be polka-dots, too. I had the distinct pleasure of working for the Heidelberg Project this past school year. Growing up quite nearby, it was a place I knew only rumors of until my friends got drivers licences. As teenagers venturing deep into the mystifying Eastside of Detroit, we felt like we were transported into another world. The 6-block public art installation struck me then as magical, exciting, funny, and strange. In art school, when I’d stumble upon references to the work in my textbooks and readings, I remember feeling pride for this hometown treasure. I read that it was classified as “Outsider Art,” and served as a challenge to the contemporary art world. However, I don’t think I really understood the piece and its power until I saw it through the eyes of the third-graders at Cesar Chavez Academy. Shortly after returning home to Detroit last summer, my Mum and I took a tour of the corporate headquarters of the project. We learned of the plans for a community center onsite, watched a lovely video on the history of the project, and read a childrens’ book that the work inspired. This was a much broader scope than I had been aware of previously, and there was just so much more to find. I learned that Tyree had been working on projects at multiple other sites around the city, exhibited work in the collections of many world-renown art museums (including the DIA), and was then abroad in Europe on an artist’ fellowship. Most interesting to me was the outreach program which had just rounded-out its first year. 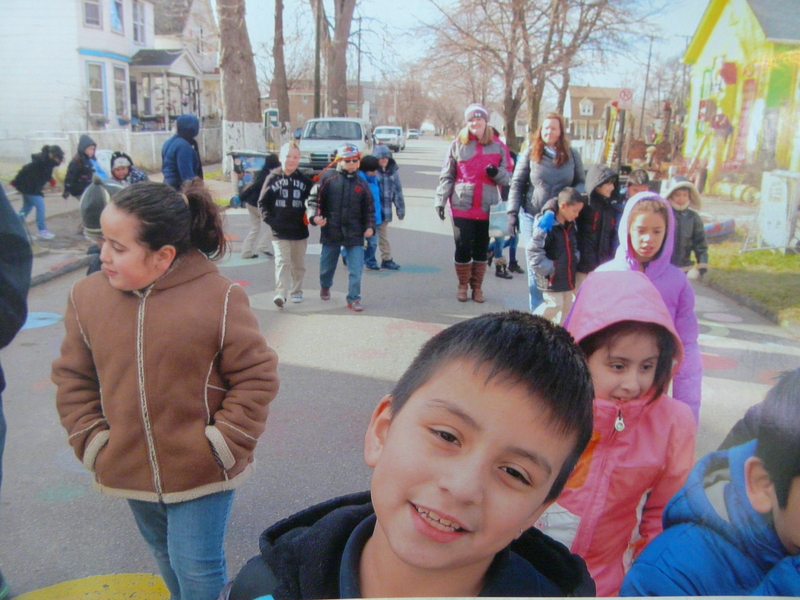 The ACE2 program, or the Arts, Community, and Environmental Education program partners with third-grade classrooms around the city for a year-long experience with the Heidelberg Project. It begins with a visit to the HQ, a discussion with Tyree and a guided tour of the site on Heidelberg Street. Continuing with weekly visits by HP teachers to the schools, the students make art in response to the materials (trash and found objects), content (environmental and political issues), and social implications (freedom of speech, life journeys, community development, etc.) of Tyree Guyton’s Art Environment at Heidelberg Street. That first visit to the HP offices on Watson St, I was able to peruse the students’ art projects from the previous year which had just been uninstalled from the year-end show. Funny to me was how similar the projects were to works of my students at Tye River Elementary back in Virginia, yet how different the lives of those students were from one another. I was intrigued, and wholly inspired to get involved! I joined the ranks of HP teachers for the 2012-2013 school year, and was placed at Cesar Chavez Academy in Southwest Detroit. I felt more like a steward than a teacher, though the common-core-tied lesson plans were beautifully crafted and engaged students in conversations about civics, homelessness, music, conflict resolution and storytelling, to name a few. One blog post could never accommodate the whole of my experience with the students, so here’s a visual appetizer. 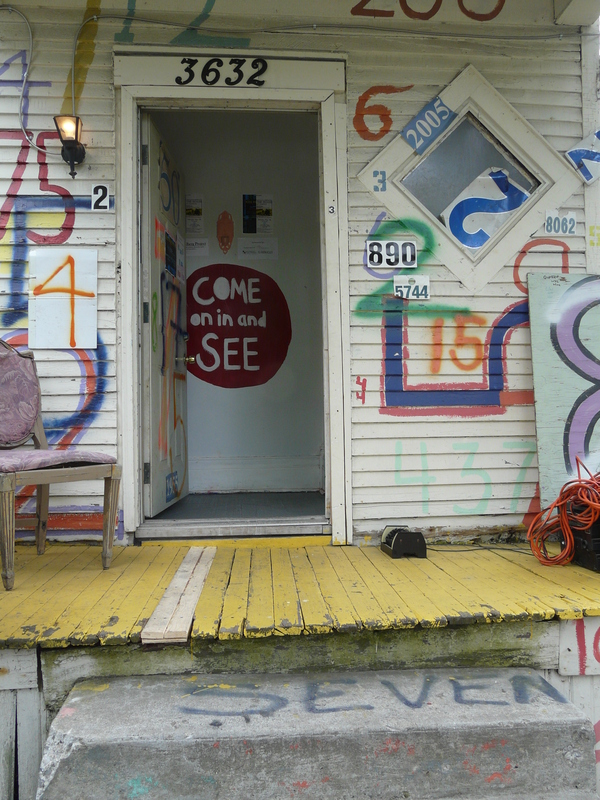 The way Heidelberg Project speaks to students is unique and unprecedented. Wordlessly, the environment challenges the students’ ideas of what art is; it doesn’t need a frame or a museum or mastery of material. They intuitively understand that through infusing their communities with art and beauty, they can inspire happiness and pride. The children see that THEY have the power to make changes in their neighborhoods. 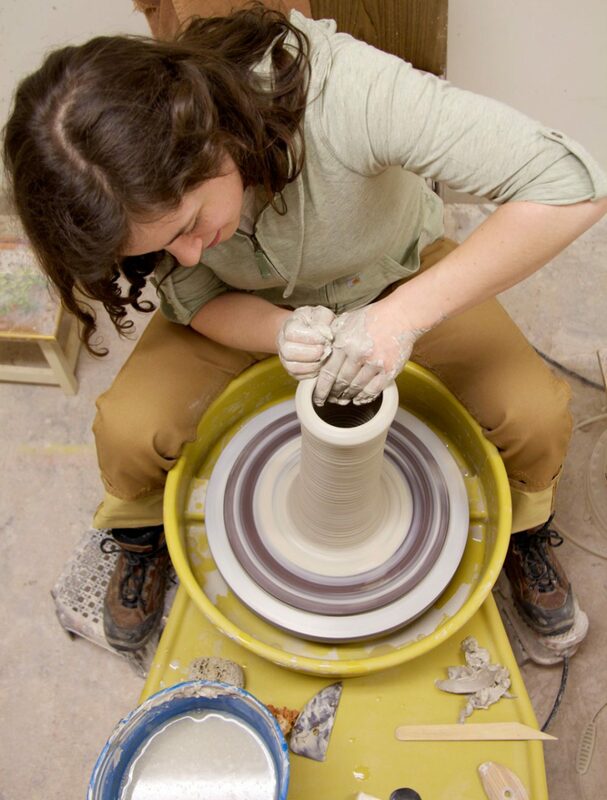 The students are confronted with the idea that the materials for doing these things are already at their fingertips, in their backyards, and totally free. Creativity, equity, community engagement, and joy; I couldn’t imagine a more radical, potent, or important lesson. Please consider donating to further the reach of the ACE2 program!